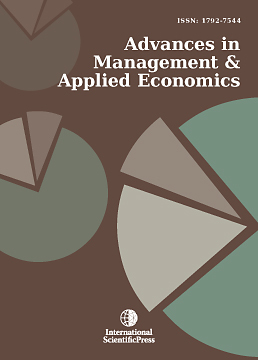 The Journal's emphasis is on empirical, applied, and policy-oriented research in Management and Economics. All empirical methods including (but not limited to) qualitative, quantitative, or combination methods are represented. Articles published in the journal are clearly relevant to applied management theory and practice and identify both a compelling practical management issue and a strong theoretical framework for addressing it. The Journal's purpose is to improve communications between the academic and other research communities and policymakers and operational decision makers. Strategic Management, Services Management, Health Service Management, Education Management, Operations Management, Organisational Planning, Policy Making and Decision Making, Motivation, Globalisation, Training and Development, Recruitment and Selection, Industrial Relations, Virtual Technology, Change Management, Organisational Behaviour, Monetary Policy, Fiscal Policy, Exchange Rates, International Economics, Economic Growth and Development, Transition Economies, Health Economics, Economic Integration, Labor Economics, Regional and Urban Economics, Industrial organization, Applied Microeconomics, Energy Economics, Public Policy, Economic Programs, and other timely and concerned subjects.